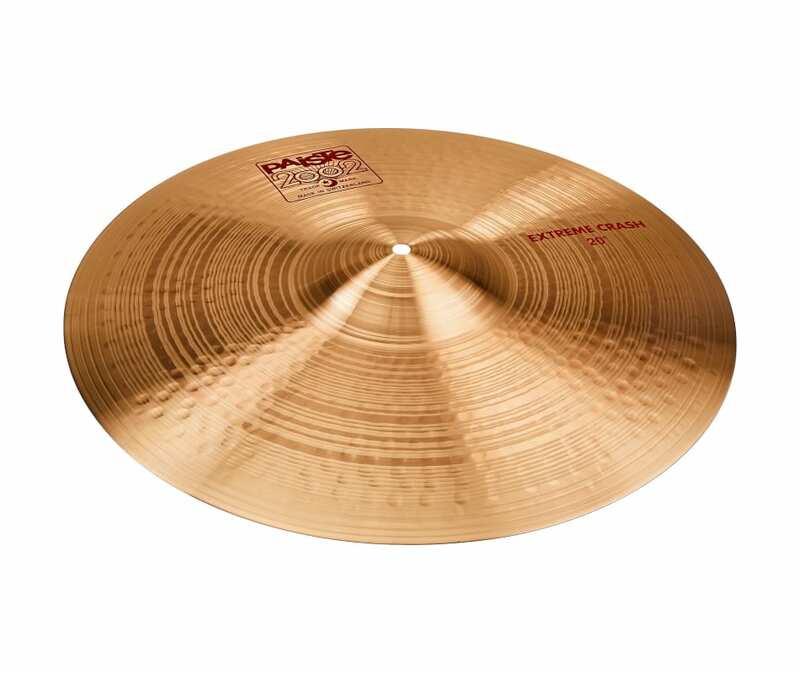 The Paiste 2002 Extreme Crash has a bright, warm, full and powerful sound. The 2002 series crashes feature a medium wide range, clean mix with a heavy feel, cutting tone and explosive attack. Strong, full, clear crash sound with even fade. An extremely powerful, sturdy cymbal for high volume playing.